On July 20, 2012 in Aurora, Colorado, a man in dark body armor and a gas mask entered a midnight premiere of The Dark Knight Rises with a tactical shotgun, a high-capacity assault rifle, and a sidearm. He threw a canister of tear gas into the crowd and began firing. Soon twelve were dead and fifty-eight were wounded; young children and pregnant women were among them. The man was found calmly waiting at his car. He was detained without resistance. 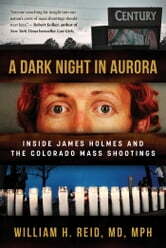 Unlike the Columbine, Newtown, San Bernadino, and Las Vegas shootings, James Holmes is unique among mass shooters in his willingness to be taken into custody alive. In the court case that followed, only Dr. William H. Reid, a distinguished forensic psychiatrist, would be allowed to record interviews with the defendant. Reid would read Holmes’ diary, investigate his phone calls and text messages, interview his family and acquaintances, speak to his victims, and review tens of thousands of pages of evidence and court testimony in an attempt to understand how a happy, seemingly normal child could become a killer. 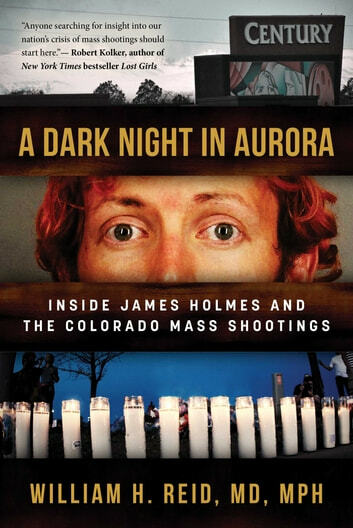 A Dark Night in Aurora uses the twenty-three hours of unredacted interview transcripts never seen by the public and Reid’s research to bring the reader inside the mind of a mass murderer. The result is chilling, gripping study of abnormal psychology and how a lovely boy named Jimmy became a killer.